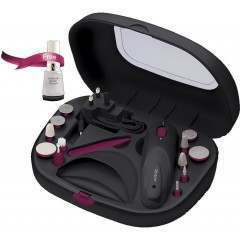 Achieve the perfect manicure and pedicure whereever you are in the world, with the Revlon Travel Chic Manicure Set. Double voltage provides practical use whilst travelling, plus up to 90 minutes cordless use allows you to conveniently shape, polish and buff your nails on the go. Presented in a pouch with 9 different attachments for ultimate convenience. Adapt the speed to suit your nail and skin thickness (hand and foot) with 5 variable speed settings. 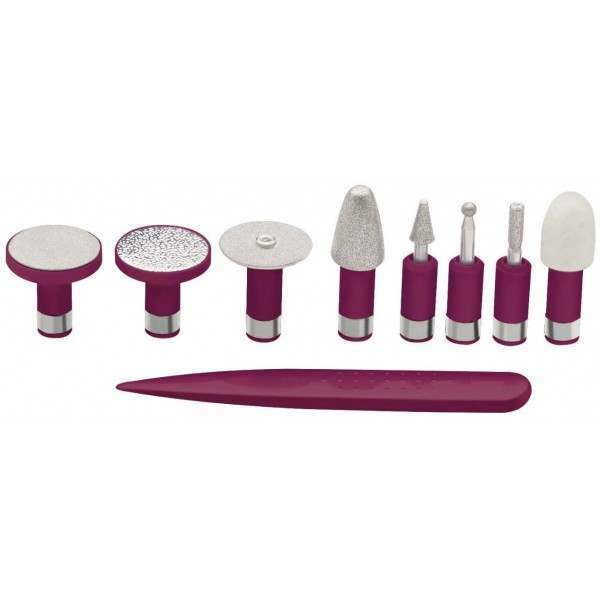 Practical pouch with nine attachments: Sapphire Shaping Disc, Fine Sapphire Disc, Coarse Sapphire Disc, Sapphire Cone, Polishing Cone, Flame Stone, Rounded Stone, Cylindrical Stone and a hand held cuticle stick. A compact and portable rechargeable manicure set by Revlon, providing you with the freedom to achieve the perfect manicure wherever you go. This manicure set comes in a convenient pouch with 9 attachment, ideal for travelling with double voltage. Adapt the speed to suit the skin (hand or foot) and the nail thickness, by selecting one of the five available speeds. Bi-directional rotation allows you to manicure or pedicure nails from the edge to the centre on both your hands and feet for the ultimate manicure and pedicure. 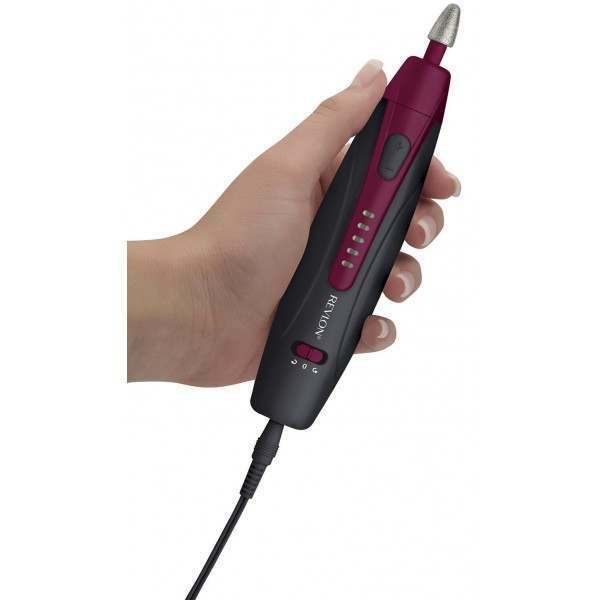 Up to 90 minutes of cordless use available for maximum convenience and ease of use. The manicure pen is rechargeable with a charging light indicator - when fully charged, all 5 LEDs come one).